THE CAMPING VIEW is going into it's fifth season. The web site went on line the fourth of July 2008. Currently 41 campgrounds are documented and several more have been photographed and will soon be available. THE CAMPING VIEW is not going to go away however it is going to be less active until we able to afford to dedicate more time to it maintenance. I am sure you can appreciate the difficulties of the current economic times. 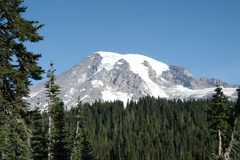 THE CAMPING VIEW's goal is to photo-document all of the most popular public campgrounds in Western Washington. There are thousands so this will be a grand unveiling over time. The 2010 season has began, we are scheduling our photo shoots so if you have a favorite campground let us know and we will try to add it to our schedule. NEW AND IMPROVED: We have added visitor comment to each camp ground. The comment are screened to insure they are appropriate for TCV. We would appreciate your comments on this and any other aspects of TCV. There are also new links on the campground pages to the current weather conditions. If you have ideas for how we can improve the site please let us know. Your email has been positive keep it coming and thanks. 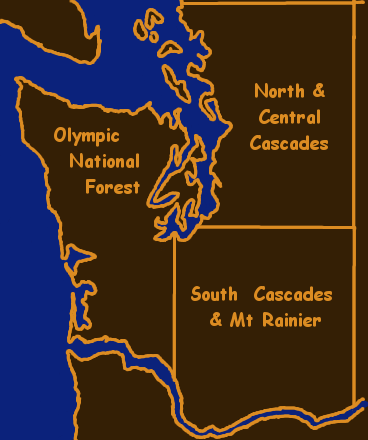 TCV uses a series of regional Washington maps to let you navigate to campground maps in Western Washington. From the campground map you are able to navigate to photos of individual campsites. The campsite photos are taken with the hope of providing a true feel of the campsite. TCV's plan though incomplete is ongoing and over the next weeks and months will continue to grow and expand. In order for TCV to provide the best service to our visitors we need your input. What would you like to see on the website? If you see a strange man running around with a camera in your campground say Hi! Be advised that only campsites that are unoccupied are photographed so some of the most popular sites are not represented. However we will revisit the campgrounds many times in an effort to photograph them all. Currently we have better then a 83% coverage rate.